The best creations from that side of the screen. We go to any lengths to craft the perfect shoes for you. 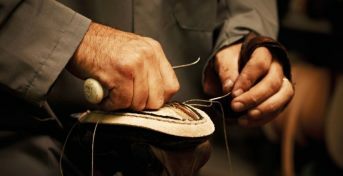 Each Venturini shoe is a product of intricate craftsmanship and engineering expertise. We worry about every minute detail so that you can enjoy every millimeter of it. Our lasts and outsole moulds are designed by the finest makers in Italy. We use only the finest Italian shoe finishing chemicals. We have stringent quality control standards. 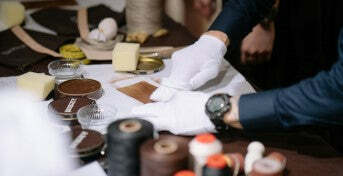 We use only the finest Italian shoe polishing chemicals to individually hand finish every single pair of shoes. We have stringent and highest quality control standards. Copyright © 2017, Venturini Footwear India Pvt. Ltd. All Rights Reserved.